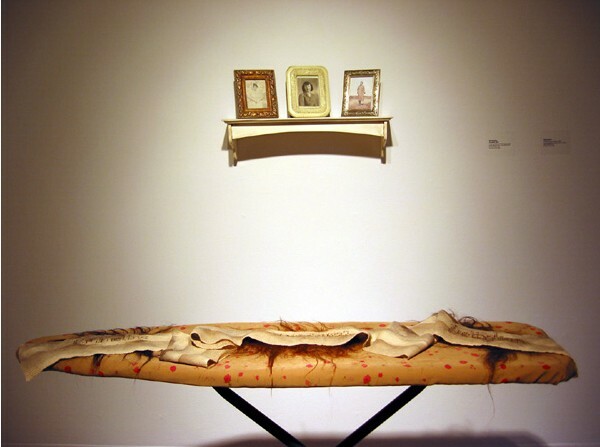 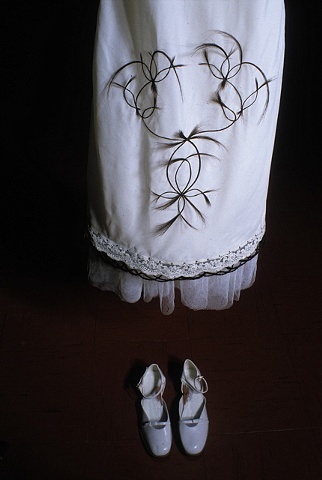 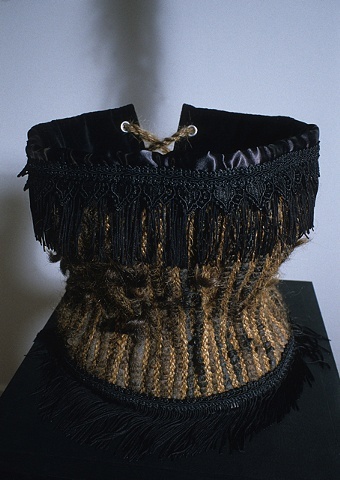 In this body of work, I used traditional textile techniques to explore and exploit notions of ‘women’s work’, femininity, gender identity and cultural taboo. 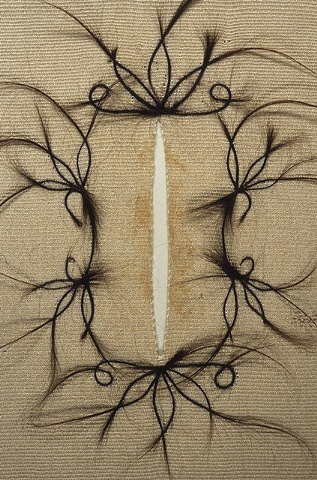 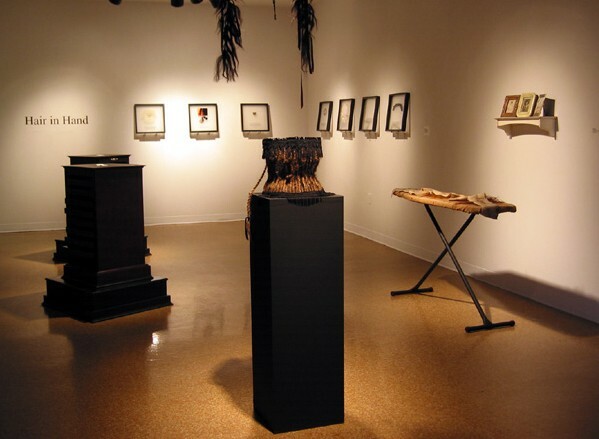 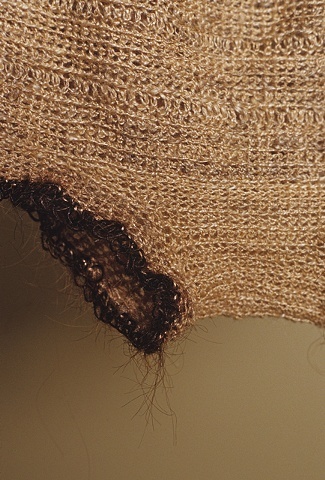 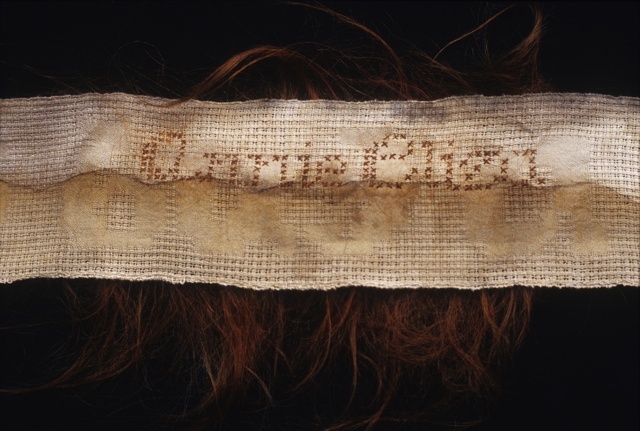 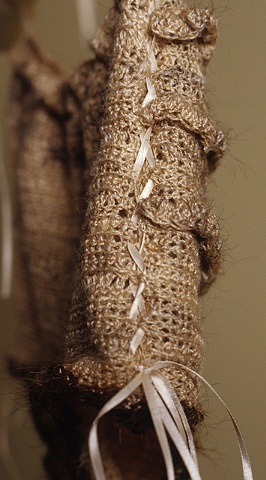 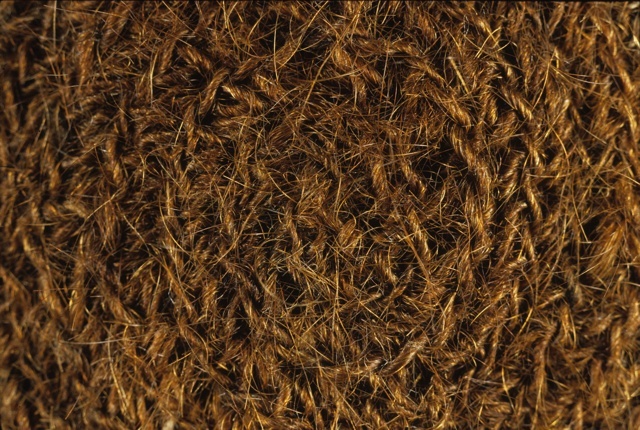 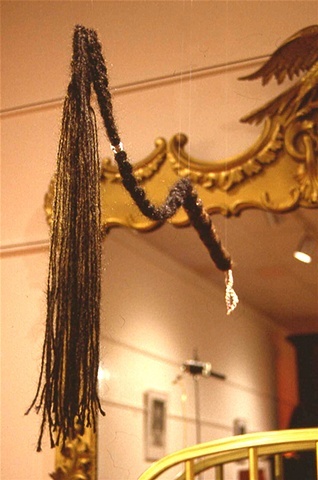 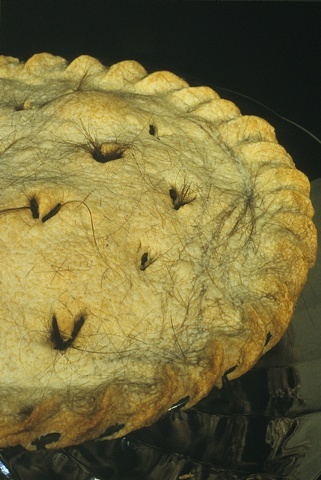 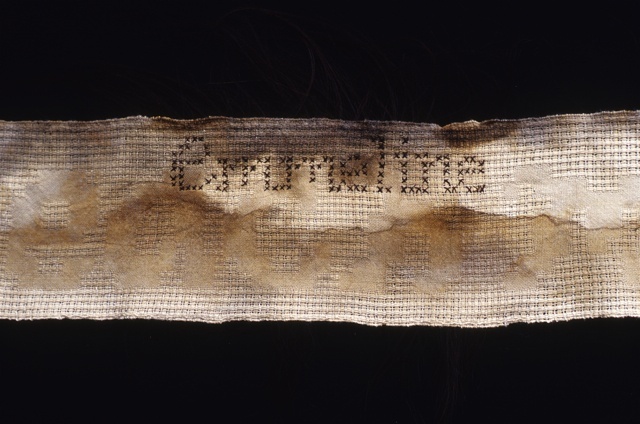 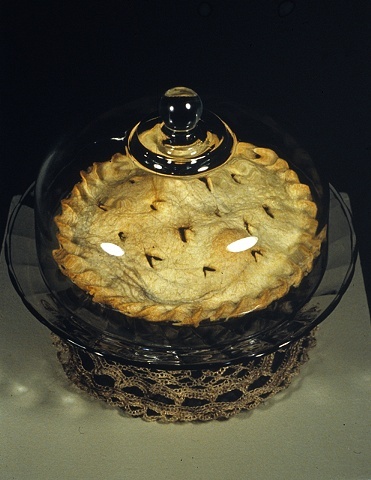 I did this utilizing human hair as a fibre in the construction of clothing or textile-based items, as well as other objects associated with the realm of domesticity and women’s work. 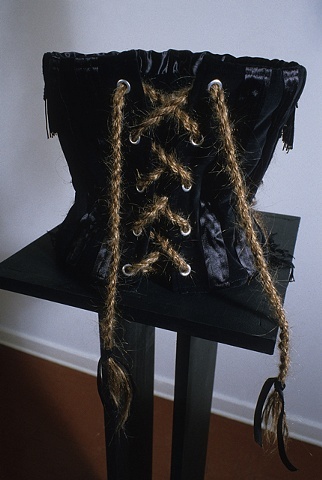 These ‘artifacts’ stand to represent the female body as my main site for exploration, in order to reference or embody changing ideas and boundaries around a woman’s physical place in society, as well as her own sense of self. 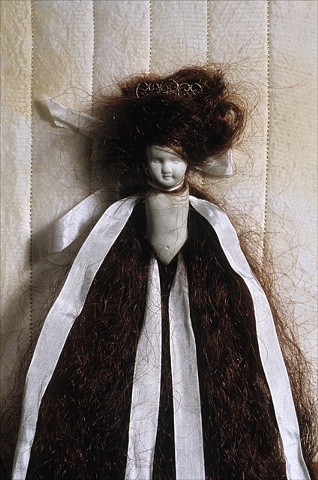 I investigate how textile practices function as a subversive language for relating the female experience, how perceptions and taboos around body/ hair influence identity, and how these elements relate in terms of a cultural narrative.